The Kershaw Zero Tolerance 0200 is the Military Folder knife. It has a 154CM stainless steel blade that is coated in Tungsten DLC. The blade has a recurve shape to it and a point that is perfectly centered with the handle. 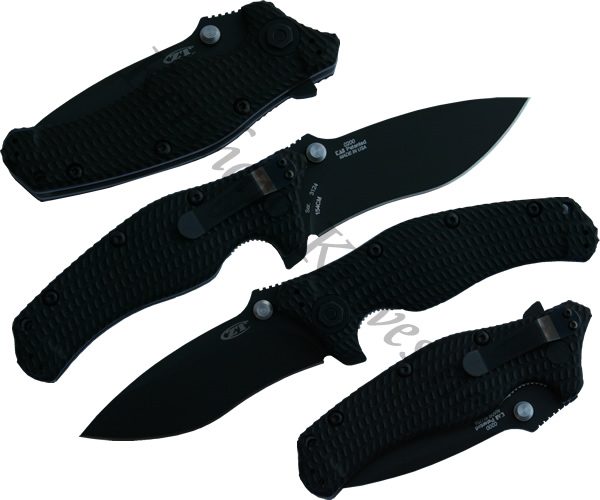 The 0200 can be opened with one hand using either the flipper on the back or the ambidextrous thumbstuds on the blade. A liner lock holds and releases the blade. The handle is made of 3D machined G-10 for good grip.